1.1. Importance of cost and volume in financial management. Financial management is the art of managing the operations of the organisation, in a manner that could be helpful in maximizing the benefits and the optimization of operational resources which could enable the cost minimization and enable the achievement of maximum profits (Drury, 2012). Management accounting is the science of the presentation of the financial information in a manner that could enable sound decision making for the organisation. This needs to be noted that in order to serve this purpose it is essentially important to ensure that the management of information has to be optimum and the information should be sound and worth being evaluated. Management accounting facilitates preparation of detailed reports and records which facilitate derivation of meaningful information’s for the purpose of enabling an authority responsibility decision making. For an instance, the sales reports and the inventory reports. This information is an evaluative basis for internal control and decision making. Role of cost and volume in financial management and management accountancy? Since, we have already discussed about the various avenues of the cost management and financial optimization. It becomes essential to understand the role of cost volume and profits thereof in the financial management of an organisation. It needs to be understood that an organisation bears different types of costs and their influence on the profits also differs. The various types of costs and there different behaviour and their relationship with the volume of business is known as the cost volume relationship. These variables are essential to understand for the managers to enable a sound decision making. Cost-Volume-Profit analysis is the most tested and recommended technique of evaluation of the degree of influence upon the profits of the organisation due to the change in costs, volumes and thus the overall prices. This helps in determining that how a change in costs, volumes and prices effects the overall profitability standing (Lucey,2008). Cost and volume are the main impetus of any economy and the industries in it and the organisations operating within the industry. Since it is a pervasive factor in all of the industries hence, organisations operating in tour and travel industry are no different. Speaking in the said regards we have taken an explicit evaluation of one of the major players in the travel and tourism industry viz. Thomas Cook Plc. Thomas Cook Plc operates in the service industry and its performance is greatly impacted by the cost and the volumes of the operations. Thomas Cook Plc has been actively concerned upon its cost and benefits and the management has taken various initiatives to reduce the same so as to optimize the sales price on a reduced level and thus enable greater profits in sight of higher volumes. Thomas Cook Plc, has been actively trying to reduce its costs in a manner that could facilitate reduction of sales price to a level that becomes cheaper than the competitors which fetches a competitive advantage to the organization and thus enable generation of greater revenue i.e. volumes and profits conglomerate. The organization has taken numerous initiatives such as, enhancements of the number of routes, taking initiatives to sell package holidays etc. Thus, it is essentially important for the managers, the decision makers to focus their orientation towards significant reduction in costs and thus enabling a cheaper offerings to the customer bases in comparison to the competitors. Because, that in reality shall be able to help Thomas Cook to reduce its cost and increase its volumes and thus helping in achieving a greater level of overall benefits. Thomas Cook has been expediting in refocusing its orientation towards cost optimization and benefit maximization which has been showing overall growth for the organisation. Both the fixed and variable cost are important to be ascertained as the fixed cost helps in ascertaining the breakeven point, it is the point where the cost is equal to the revenue and there is no profit or loss. Thomas Cook Plc offers various products under the tour and travel bouquet to serve its customers efficiently and adequately while ensuring value maximization for all. Price skimming: In this strategy firstly the price of the product and services is marked the highest and then subsequent reductions are made to attract sales. This strategy is used by Thomas Cook in several products to offer them at a higher rates during peak seasons and lower them in fall seasons. It enables the organisation to reduce the price in the market and to recover its sunk cost. The word skimming for this process is derived after skimming successive layers of “cream” or consumer segments by lowering their price. For example, an organization increases the price of a particular product due to the added advantage that it contains which is considerably higher than its cost. Cost plus Pricing: Thomas Cook is also found using this strategy in which the entities tend to add up the cost and then add the mark up as the profit percentage. It is one of the most practiced methods by entities operating in the travel and tourism industry. This method is fairly simple to implement and Thomas Cook uses it in some of its most selling packages. For example the cost of a holiday package is £ 1,000 and the profit percentage to be added is 10% hence the the post plus price would be £ 1,100. Market led pricing: This is another method of pricing used by Thomas Cook in which it prices its packages as same as the rates prevailing in the market generally or even chooses to price them a bit lower so as to achieve some market and customer advantage. For example the price of a product prevailing in the market is £ 100 the price of the product belonging to the company has been set as £ 100. Absorption pricing: Absorption pricing is another widely used practice of marking the prices of products by Thomas Cook, in this method the price of the product and the service includes all the variable cost and the fixed cost to some proportion so as to recover all the cost. Marginal costing: Marginal costing is regarded as a technique of costing that helps in ascertaining the marginal cost that arises due to a variation in the production level and it also helps in identifying the effect of the marginal cost upon the profit generated by the organization. Profit is regarded as the amount, which can be regarded as the excess of the revenue over the expenditure. Maximisation of profits continues to be the main aim or the objective of any business organisation, be it small, medium or the large scaled business. Profit is in actuality the reward of financial returns achieved by an organization after continued efforts and after application of due business strategies fuelled by the capital and costs. The level of profitability in actuality defines the level of operational efficiency of the organisation. Production capacity of the company: The production efficiency of any entity is derived by the number of units produced by the company during an hour or the quantum of services provided by the organisation. In case of Thomas Cook PLC, the production efficiency in actuality refers to the no. of packages sold by them during their operational period which is the profit determining factor for the company. Losses: Another important factor influencing the profits of an organisation is the level of losses made by the company as it tends to reduce the profit. Any material reduction in any avenues of revenue be it sales, expenses, or loss in current assets is prone to reduce the profit and profit making ability of the organisation. Markup: Selecting an adequate mark up is another major factor influencing the profits made by the organisation. An entity may choose to fix its markup two times or three times high or even more as it does not only cover the product but also the cost associated with the product. It directly effects the profit of the company as higher the markup higher will be the profits. But it becomes mostly non profitable for the company to setting too high markup if consumers choose to rejectthe product as it being overvalued as compared to its cost. Thomas Cook Plc should take initiatives to ensure that it is selling its goodsat a price which is neither too high nor low in site of its profit expectations and thus not lose to opportunities on grounds of markup profits and pricing thereof. Managing seasonality: One of the most influential factors impacting profits in travel and tourism industry is seasons. The tourism business is mainly based on seasons, thus it is critically essential for Thomas Cook to ensure maintenance of proper balance between off season and peak seasons. Impeding efforts to not loose larger grounds in off seasons should be taken up by the management effectively. Managing Suppliers: Management of suppliers relationship is another avenue of profit optimization for Thomas Cook Plc. The entity should try and negotiate prices from suppliers like transportation and hotel partners so as to ensure lower prices and higher profits thereof. Maximized use of resources: Maximisation of benefits is certainly impossible in event of in adequate utilisation of resource. Utilising resources adequately become bare minimum requirement to achieve greater profit and optimum maximization of the benefits. Reducing costs: Thomas Cook should always try to reduce the costs integrated in the packages offered for sale by them so as to ensure they are able to offer cheaper prices in lean seasons and hence are able to make up for the lower sales in down seasons than most of their competitors. Balance sheet which depicts the true and fair financial position of the company and the, the balance sheet contains information relating to the position of the assets and liabilities of an organization thereby projecting the financial health of the concern. Statement of cash Flow- This depicts the pattern of cash inlays and outlays for an organisation during a fiscal under consideration(Lacy,2001). Budgets: Budgets are the forecasted statements depicting the overview of a broad financial plans of the activities to be held by the companies in the short run to get a basis for judgment that how much is to achieved by the company and whether it was able to achieve that or not. There are different forms of budgets that contain different types of information such as, the cash budget projects that future cash flows relating to a concern, the production budget forecasts the future production levels of an organization, the sales budget projects the sales forecasts etc. Variance Analysis: Variance is the analysis of differences that is comparing the actual with the budgeted expenses and revenues to observe the deviations and decide about the steps to be effectuated to overcome such state of differences. Forecast: Forecast as the word goes is the estimate of the future results of a company’s operations. Basis for its preparation is the historical cost data’s and the various financial statements of the entity. As already discussed the major goal of management accountancy is to derive a basis of fair and sound decision making. Management accountancy enables presentation of various information’s of immaculate importance that hold key importance in delivery of important decision about organizational performance and structuring of strategies. Financial Statements- With the use of financial statements the managers can analyse the profits and the financial position and the cash flows of the company and take appropriate decisions there of (Atrill, 2011). Budgets and Forecasts - Also with the help of budgets and the forecasts take decisions for the future plans. Forecasting helps in performing investment appraisal, it helps in making comparison between the results relating to different periods, budgets help in gauging the profit making capability of an organization, it also helps in establishing control and many more. Variances - Variance analysis helps in understanding the areas of approximate loopholes and the necessary measures to redress which is helpful in thoughtful creation of future strategies essential to sound management of the entity. We have discusses about various sources of sound decision making for an organisation and we also have understood there relevance in decision making. Howsoever it needs to be noted that the financial statements in it are a whole lot of organized information and it at times become difficult for management and others to understand what they should cite and what is more important. To help solve this purpose are used the methodology of ratio based analysis that helps in developing a scientific relationship amongst the key variables of the financial statements. This helps in thorough analysis and evaluation for the users and management likewise (Fraser and Orminston 2010). To facilitate our understanding of the financial and operational performance of TuiTravel PLC a leading brand name in the travel and tourism industry in UK, a comparative ratio based analysis for the entity (Appendix) from the financial figures as derived from its financial statements for the fiscal 2013-14 and 2012-13 have been carried along underneath. Current Ratio is ideally expected to be around 2 and for 2013 in comparison to 2012 we can see that TUI’s current ratio has increased from 1.15 to 1.38 this is a good movement towards an effective liquidity risk management initiatives. It is ideally expected to be around 1 and in case of TUI it may be seen that this ratio has been far below the margin and shows lesser amount in liquid current assets which might be a reason for a possible threat to the liquidity risk management of the organisation. 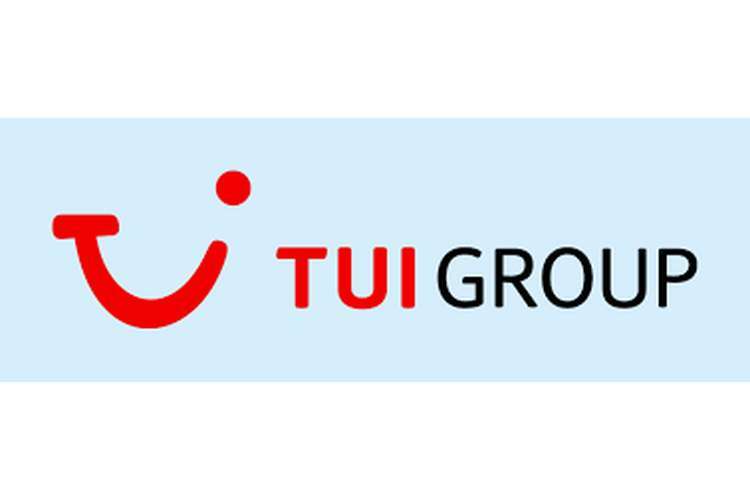 It has been observed that ROCE for TUI has been increasing in 2013 in comparison to 2012 this is a good movement and a positive signage for potential and existing investors of the entity. The ROA for TUI has fairly been constant for the years under reviewThis is a matter of upconcern for the operational management team because it signifies that the operations of the business have certainly not led to an incremental value addition for the firm. It is seen that the Debtor collection period for TUI is better than the industry standards and moreover it has become lesser than 2012 this certainly signifies a good work of the debts collection team. TUI is seen to enjoy a fairly extended creditor’s payment period which is a symbol of strong relationship with its suppliers. This is howsoever a matter of delicacy as well because it imposes an ethical responsibility upon an organisation with good suppliers relationship to honour their debt as and when they fall due because any delay may be detrimental to entities image and creditors management. The stock turnover ratio for has increased for TUI in the periods under review, this certainly is a matter of appraisal for the sales team because more is the ratio greater is the chances of generating revenue from sales. The administration cost of TUI has increased over the fiscal howsoever it has been managed well. Any increased efforts to place it into permissible limits will lead to further profits being available with the organisation. The gross profit ratio for the organisation has slightly increased in the fiscal howsoever the ratio is not on a very good numbers it stands at 11% for 2013 which means the organisation actually gets only 11 pents out of the 1 pound sales made. The cost of sales should be reconsidered for ensuring greater profit retention. The Net profit ratio, for the entity is fairly low and this shows that the organisation spends a lot of what it earns which ultimately leaves a very little profit for the organisation. Further, it has fallen in 2013 from 2012. TUI appears to be heavily financed with debt instruments which have further increased in 2013. This poses a threat on the liquidity of the organisation and lower earnings available for equity shareholders. Finance is the actual source of generation of stimulus to plan for anything in a business organisation. It actually begins with the quantum of funds available to support a plan in absence or shortfall of which, plans are sure to be hitched. It is not wrong to say that, finance in actuality is the source of energy for business operations. As, finance is the pervasive thing required in a business right on from managing of operations till the planning for some future expected activities we need finance and shortfall in same is sure to take a hitch for our planning. As we already know that Travel and Tourism in itself is a very large and very well organized industry with large spread of horizons for various spheres of growth and expansion. Growth is at times requiring various capital intensive approaches and this needs heavy capital investment. We have thus undertaken an evaluation of the various sources of financing for capital projects in public and non-public tourism development. Department of Culture, Media and Sport- This body was developed with the aim of ensuring proper maintenance of heritage sites, development of monuments of historical values, allocation and provision of budgets for maintenance of the heritage sites and tourism activities in the union. Non Governmental Public Bodies – Nongovernmental public bodies are majorly self financed entities that are created to ensure adequate maintenance and creation of newer tourism facilitation centers for accelerating the growth of the sector overall. Equity financing- Equity financing is that type of financing in which there is a direct participation of investors in the projects. This enables heavy capital floatation and ensures greater nexus of operation because all the investors are equally concerned to ensure optimum returns for their investment. It is basically done by body corporate at large and is thus in site of viability of investment and growth of the project involving the said outlays (Atrill 2011). The only risk in such form is that the investment is majorly driven by profit making initiative than the social and public facilitation motives of the industry. Debt Financing – Debt financing involves floatation of funds by the governmental bodies in form of loans/debts for development of the said project. This entitles the debt provider a secure form of returns and moreover helps the government in generating greater investments and fulfilling its welfare motive as well. Adams D (2006),Management Accounting for the Hospitality, Tourism and Leisure Industries: A Strategic Approach, 2nd Edition: Cengage Learning EMEA,Lacy,R.H. (2001), Financing your business, Made E-Z publishers. Lucey, T. (2008), Costing, 7th ed. Cengage Learning. Atrill, P. (2011), Financial Management for Decision Makers, 6th ed. Financial Times/Prentice Hall.